The filters are so easy to change. We previously spent a lot of time cleaning and washing so it’s a nice change to your filters. We notice the grill filters have more grease but this is OK because the other filters seem to last longer. Join the Shepherd Filters revolution, contact us today! 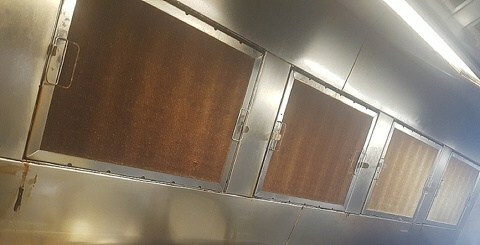 As a business owner, I want to know our kitchen exhaust system is cleaner, and seeing the grease on the filters shows me what’s being stopped from going up inside the system. Our staff find the filters easy to change, I was really surprised how long some of the filters last above the areas we use just for when busier. We have quieter periods and busier times so it suits us. The changing of filters is faster and more time saving than our previous method of soaking, degreasing and washing of our filters. Previously we had outsourced cleaning of the hoods and ducts and fan quite frequently, but the stress of having to do this is now gone. We were spending significant time each night but now the changes are quick and easy to do. 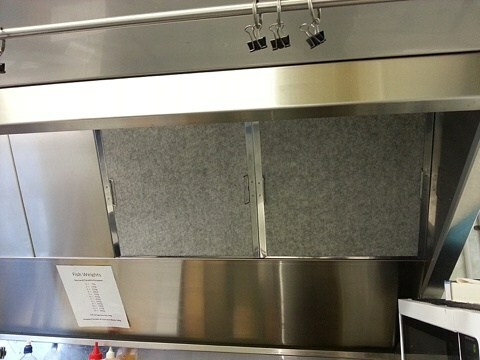 As a partner/owner of a busy restaurant (Thredbo Burger Bar) we are aware of the overheads associated with our kitchen. 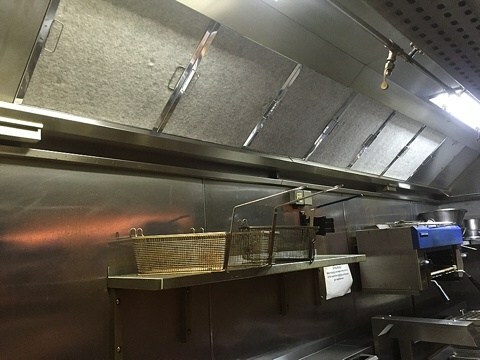 Monthly expenses for filter exchange services plus the cost of flue cleaning twice a year mount up for any busy commercial kitchen. Add to these expenses the cost of all other cleaning materials, labour plus insurance premiums and you realise the annual costs to any business are significant. As business owners, we try to plan for all contingencies including loss of business and the opportunity to claim against equipment failure. However all these contingencies are useless unless you can prove that you have met all the conditions of the policy. Because Shepherd Filters capture up to 98% of all airborne grease particles, we now consider Shepherd Filters as an essential element of our insurance policy mix. 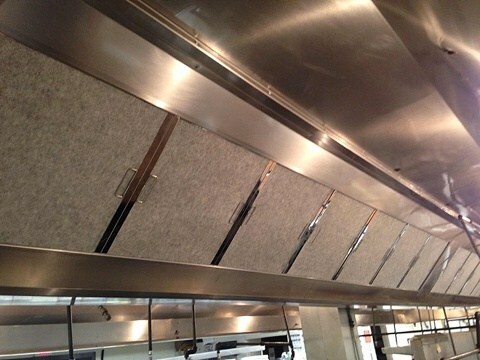 By installing and using Shepherd Filters in our exhaust hood system we eliminate the worry of fire in the flue and also ensure that our flue system meets with our policy prerequisites. Not only have we addressed all of these issues we have also significantly reduced the cost of cleaning the flue due to the vastly diminished volume of airborne grease entering the flue system. By installing Shepherd Filters in our kitchen and when combined with our insurance policy, we can assure ourselves of our insurance investment. 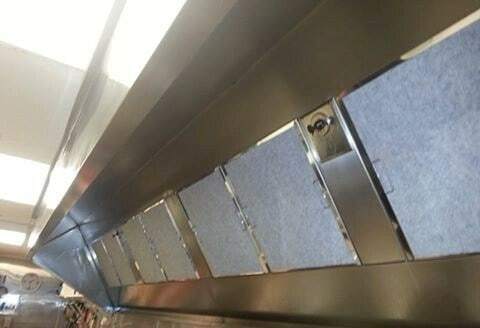 Shepherd Filters have supplied our McDonald’s restaurant with retrofitted filters during 2018. 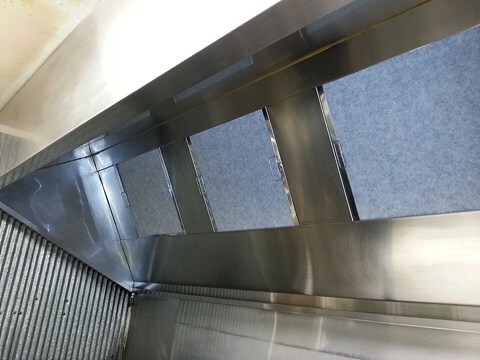 Their wool based filter and frame product retro fitted our existing hoods for vats and grills. 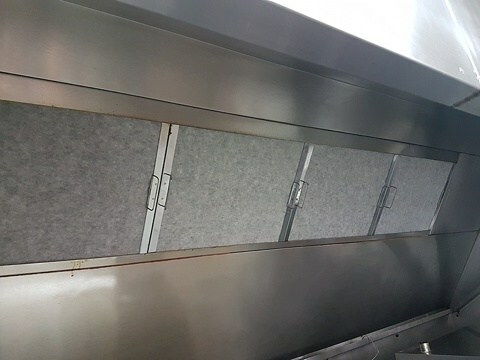 These wool covers eliminated close to 100% grease from travelling up the hoods and fan units. All work completed by Shepherd Filters is to a high standard with a pleasing end result. 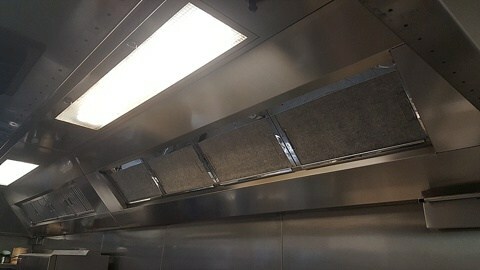 Staff and maintenance staff noticed a difference when these filters were fitted in the restaurant straight away. The filters are easy to change, fit and manage on a daily basis and was as cost-effective as completing ongoing duct cleaning. Shepherd Filters are able to accommodate & work around the hours which suit our business with little to no interruption of our operation. They also provide ongoing support and hassle-free communication in regards to any questions. Supply was fast and efficient and I would recommend Shepherd filters to any business for safety and cleanliness of kitchen ducting. We have installed Shepherd Filters to many of our Kitchens in the Brisbane Convention & Exhibition Centre and have been thrilled with the performance and the ease of changing them out. 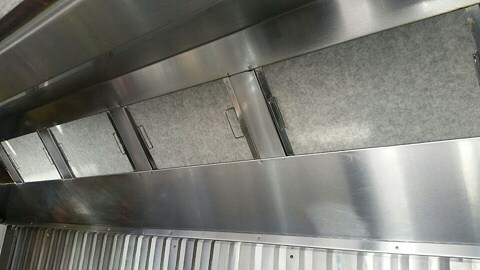 The exhaust ducts remain almost grease free and we have cut right down on the frequency of our duct cleaning. The staff at Shepherd Filters were easy to deal with and the training provided to our F&B chefs and stewards was very clear, precise and helpful. 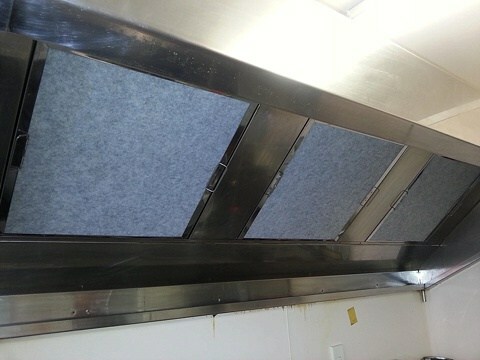 “The Copthorne Hotel in Wellington was having issues with kitchen duct cleaning and was taken aback with the costs involved in keeping the hood, ducting and fan clean. We knew there had to be a better way. Using Shepherd Filters kitchen grease filters, we found the three-monthly kitchen duct cleans could be extended to half-yearly and the half-yearly could be extended to an annual clean. Over time, the duct cleans have been dramatically reduced, which is saving the hotel an immense amount of money. The restaurant does an average 300 to 400 meals a day for breakfast, lunch and dinner. 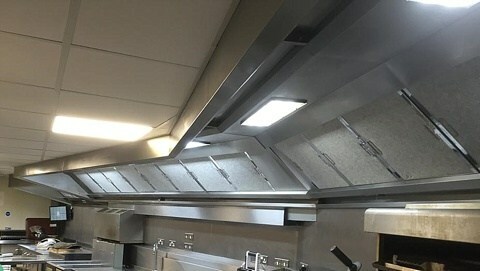 The other benefits the head chef has noticed is in the noise level reduction within the kitchen, which the dining public were previously exposed to. As this is in the back kitchen, the noise levels have dropped quite dramatically. In the past, duct cleaners have set off the fire alarms in the middle of night, which created a huge headache for the hotel as it resulted in the evacuation of guests. With the requirement for duct cleans reduced, false alarms are a thing of the past. Shepherd filters have been a great way for us to cut down on time given over to extraction cleaning while maintaining great standards of safety and cleanliness. The ability to capture airborne grease at the point of creation and dispose of it in an environmentally friendly way is a major bonus in terms of efficiency and potentially the lifespan of the system. Thank you for our Shepherd Filters system. It was really easy for me to change the filter sheets and your installation support has been wonderful. I was concerned about the state of our ducting, so now having a clean system is very important to me as a business owner, and the grease being captured shows the filters are doing their job. I’m really happy with Shepherd Filters. 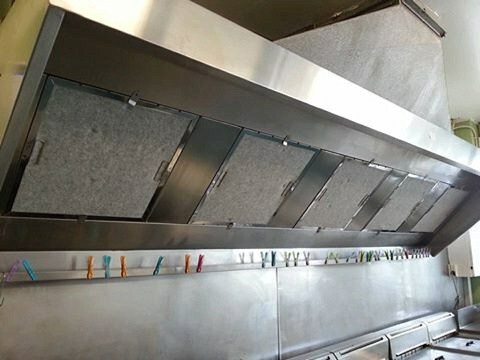 They stop grease and the inside of our hoods are noticeably cleaner, our tracks are alot less greasy and our staff find the change schedule easy to follow in our large kitchen. The wool allows proper extraction but stops the grease. We are happy with the result.